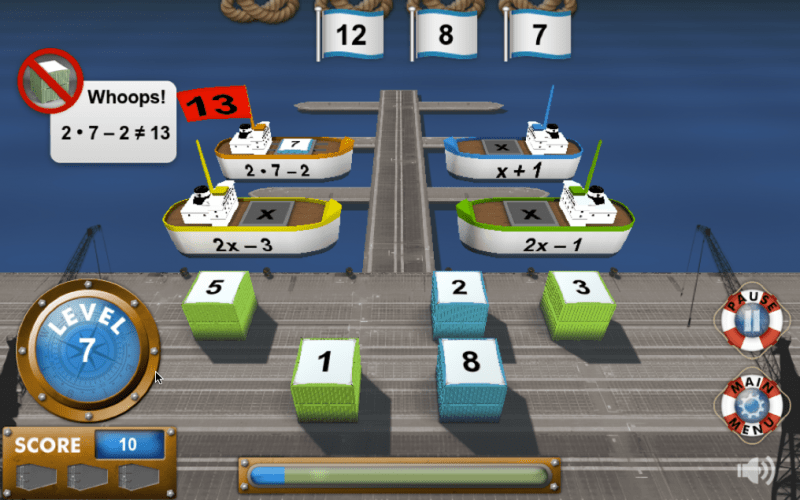 In case you’ve been waiting, the full version of Algeboats is out in the iPad store for $4.99. You can see some of the gameplay for the Lite version of Algeboats on Youtube. The game is designed to teach students about what algebraic variables mean and to begin to understand equations. It’s clever because the students don’t see equations to solve, but in the process of finding crate values that “make” the flags, they begin working backwards and thus solving the equations created by boat=flag. I’ve seen learners as young as 5 be absolutely delighted by the game (and the fact that they are doing algebra). Parents, of course, will be delighted as well.